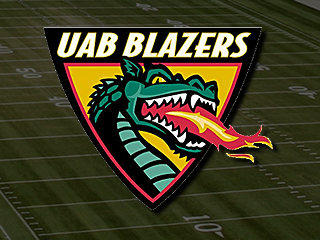 The University of Alabama-Birmingham (UAB) killed their football program. They are the first university to do so since 1995 when the University of Pacific in Stockton, California killed theirs. Scary thing is that this may be just the beginning but that may also be a good thing. Money and college football have become attached at the hip. While some want to pay players others point to how much it costs to run a program and to dress a team on Saturday. Now we are seeing with the UAB case that costs truly do play a factor and that not all of the football programs are going to make it. Sure the big programs like Texas, Alabama, Notre Dame and others will be fine but the smaller programs like Wyoming, UNLV, and Western Kentucky could face the same fate as UAB. In other words, as the rich get richer the poor get poorer. Can Wyoming, UNLV and Western Kentucky really compete financially with Texas, Alabama and Notre Dame? Of course not but most aren’t trying to. They will always be second class citizens and everyone knows it. The problem with that is fans and alumni still want to win and winning costs money. American sports fans don’t like losing. It doesn’t matter if their teams will never win a national title they still want to win. When teams don’t win money stops flowing. If smaller programs can’t stay above water then they will fold just like UAB. That means less kids playing football and for some that may be their only way to get a college education. It’s not just the players. The coaches and support staff are out of work too. While these are not high paying positions there still jobs. These are by-products but it’s still a major change. UAB killing their football program isn’t the most important thing in the world or even in the sports landscape for that matter. It is however a sign of things to come though.The smaller football programs are just not economically feasible. There may be some good news in all of this though. A side effect may be something that most college football teams want anyway, big teams playing other big programs. Further reading from the Huffington Post.